In the middle of it all, you can get away from it all!! 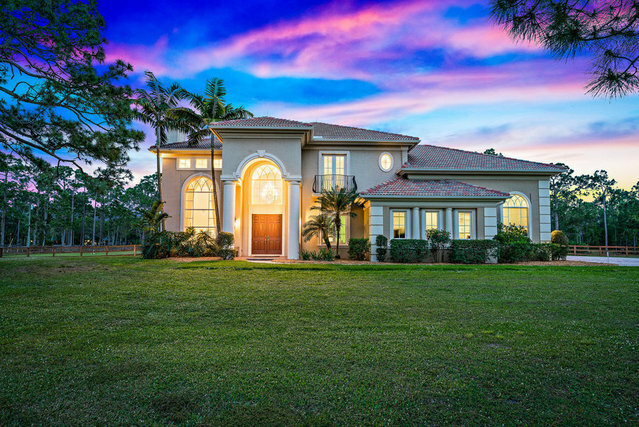 Elegant 4 BR estate on 5.17 peaceful acres in the naturally beautiful community of Caloosa. Easy access to airports, shopping, restaurants and all that South Florida has to offer. This gorgeous home features 4BRs, large open kitchen and dining areas, huge garage with current space for 5 cars plus room for a lift and more. Enjoy and entertain on the expansive salt treated pool area with 40ft lap swim area. Scenic landscape on quiet and private cul de sac with plenty of room to expand.